Israeli Prime Minister Benjamin Netanyahu is stressing the “strategic importance” of Israel’s agreement to normalize relations with Turkey. After meeting with Turkish Prime Minister Binaldi Yildirim in Rome on June 27 to sign the reconciliation accord, Netanyahu pointed to the deal’s strategic value for Israel’s security, economy and energy sector. Under the terms of the agreement, Israel will transfer $20 million for the families of those killed in the Mavi Marmara incident in 2010 to a Turkish humanitarian fund. In exchange, the Turkish government will cancel the lawsuit it filed against the IDF in an Istanbul court. Netanyahu added that Turkish President Recep Tayyip Erdogan has instructed Ankara’s security agencies to assist in returning Israelis who are captive or missing and in the hands of Hamas. Israel withdrew its demand that senior Hamas commanders be exiled from Turkey in return for Ankara’s pledge that Hamas’s delegation in Turkey will not be involved in terror against Israel. “The agreement creates an opening for economic and energy cooperation including the topic of gas, which holds the possibility of strengthening the Israeli economy with vast amounts of capital. 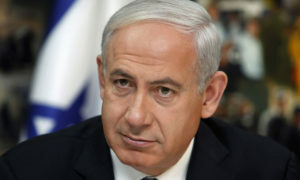 The Leviathan field can supply gas needs for Egypt and also for Turkey and from there to Europe,” Netanyahu said. Under the agreement, ambassadors will be returned to the two countries, who are now committed not to work against each other in international organizations. The accord will include joint military exercises, and investments in energy and defense.